Here comes February, the month of love and Union Budget for India! While we are no experts in telling you about the budget. However we are pretty sure, we can help you ‘impress’ your date. To celebrate Valentine’s Day in Mumbai with your boo let us help you with places and ideas. These places and ideas for Valentine’s Day in Mumbai are so unique, that it will surely impress your partner.We have got multiple options for you to choose from. For the bonus (since we are very helpful!) we have also included some tips to let your love feel ‘extra’ special this Valentine’s Day in Mumbai! Bollywood buff? Let the classic movie work it’s magic! Charm your partner with the classic, ‘Dilwale Dulhania Le Jayenge’. Let your Simran live her Zindagi to the fullest! This will surely make Valentine’s Day in Mumbai super special. What to do: Select the perfect timing and seat for you! Cost: Around Rs 200 for a couple ticket. Get cozy in a tent! Want to spend a night with your partner wrapped up in a blanket by the lake? This is your chance! Book a couple’s tent and camp overnight this Valentine’s Day in Mumbai at Pawana Farms. Giggle and laugh the day away being a slippery mess with your partner at the ice-skating rink at Snow World. It’s never too late to learn something new! What to do: Be a sport! Before you move on to wine and dine, get your adrenaline flowing this Valentine’s Day in Mumbai at the Bollywood Fitness Master Class. A pair of shoes and your date by your side is all you need. Get to know your partner while you learn more about your city while visiting museums and heritage sites. Let this Valentine’s Day in Mumbai be more than just about drinks and dancing. See places like the Bhau Daji Lad Museum or the Nehru Planetarium. What to do: Go on a heritage walk or visit a museum. Cost: Entry fee as applicable. Music connects people better than Nokia, I’d say! I mean, look at all the love songs in Bollywood and Disney movies. Grab your partner and sing along to your favorite song to bring in Valentine’s Day in Mumbai at the Karaoke night at 3 Wise Monkeys. Grab a hearty breakfast together! There’s nothing more romantic than starting the day off sharing a meal with your partner. This Valentine’s Day in Mumbai, take your hungry half out to a breakfast date at some of Mumbai’s best places. 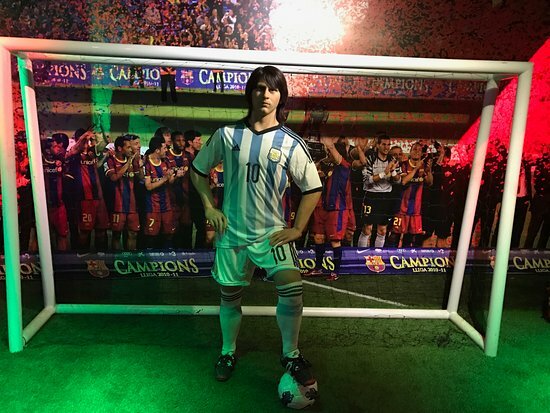 Yes, you can surely pose with the legends by standing beside wax statues. Red Carpet Wax Museum is the ideal place in Mumbai to get a selfie and snap with celebrities like funniest Mr Bean, Arnold Schwarzenegger in his Terminator outfit, American celebrities like Angelina Jolie, Tom Cruise, Michael Jackson. Also, pose with renowned personalities from History & Leaders, Music, Films, VIP, Science & Invention, Sports, etc. Experience the feeling of true Red Carpet Event with your love at Red Carpet Museum. Visit http://redcarpetmuseum.com/ for more details about the museum. Cost: Rs.100 off on the ticket for couples on Valentine day. Everyone has bittersweet memories of their school and college life. One always misses the special canteen food of the place where they have grown up. Take the walk down the memory lane of your significant other and take them back to their school or college days! Bonus tip: If you are school/college sweethearts, your visit will be more special. Plan a gesture at your favourite hangout place! Where: At your partner’s school or college. Who doesn’t love to spend a silent, romantic moment with their loved one by the sea? If you are the type who hates the hustle and bustle of the city and likes to catch a private moment with your partner and make them feel priceless, then this the place to be. You can book a romantic date on a yacht and watch the beautiful sunset or the sunrise (depending on what time you book) with your partner. Don’t forget to catch the mesmerizing view of the city landscape against the magnanimous Arabian sea. This will be the most romantic thing that you could do for your other half on this valentine’s day in Mumbai. What to do: Call Jet fleet aviation to book a slot of 2 hours on a yacht. Sporty much? SMAASH it out! You might want to try this out. Making your partner sweaty and happy outside your room is a good way to a celebrate Valentine’s Day in Mumbai! Make it a sporty affair. Compete each other out via ‘virtual reality’ or at a sports club with your favourite sport. Either go for a swim, run around the court playing tennis/badminton or whatever you fancy! If both of you likes sport, get your other half to SMAAASH. Playing computer or virtual reality games will make partner’s heart flutter. He/she will be left wanting for more! A happy PARTNER = A super happy you! What to do: Get competitive together! Both of you lead a hectic lifestyle? If yes, you will love this idea. Since this year Valentine’s Day falls on a weekday (we know that’s sad), take your partner out for a relaxing time. Do that by booking a couple’s spa together. There are many outlets in Mumbai that let you book an appointment in advance. (Use this to avoid the last – minute rush). Valentine’s Day in Mumbai can’t get better than this. Bonus tip: Since many of the spa outlets are located inside the malls, you can escape for a quick bite or a movie after a refreshing massage. What to do: Call to book a slot. Reach there and RELAX. Turn your partner into a SHOP-A-HOLIC! Everyone needs a good shopping time once in a while. Take Valentine Day in Mumbai to do that. Turn your feet towards your nearest shopping mall and let loose.How about going to her favorite lingerie shop and buying some nice intimate wear. What to do: Hand your card and you’re good to go. Where: Shopping Mall near you. Fulfill your partner’s wanderlust in the city itself! Remember how your partner used to nag you for not being adventurous? You can up your game here. Take her to the nature filled places like Sanjay Gandhi National Park or Jijamata Udyaan.Find a cozy spot away from humanity and you know what to do next. Love and fresh oxygen will be in the air for both of you to enjoy. What to do: Walk. breathe fresh air and more…..
b You know your partner loves fur-balled animals more than you. Take the opportunity on this Valentine’s day in Mumbai to take your partner to meet their best friends. If she/he is a dog person? Pawfect Life in Andheri(E) or Oh My Dog in Andheri Lokhandwala is your place to go. If she/he is a cat person? Cat Cafe Studio in Versova, Andheri would make your partner ecstatic. If your partner likes silent pets? Take them to Taraporewala Aquarium. A smile on her face is the perfect return gift for you. Bonus tip: Ask your partner to wear jeans to avoid scratches. What to do: Sit and let the animals take over her. Mumbai is food heaven. Find multiple cuisines under one sky. Treat your partner’s taste buds at multiple food joints. Sharing an Icey Gola or a hot shawarma will only get both of you closer.If she like veg food you can take her to Ghatkopar Khau Galli or if she prefers Non-Veg, Carter road in Bandra West is the place to go. What to do: Go with an empty stomach. Your partner loves dancing to the groove of music? Club it out! Let the ‘DJ get you falling in love again’ with amazing beats. Mumbai has a lot of clubs to offer and make your night amazing. The beats will get her heart pounding and the mushy numbers will leave no space between both of you on this Valentine’s Day in Mumbai ;). What to do: Dance your heart out. Wine and Dine – The Classy Way! Take her out in the old-style! Book a table and shell out some money on some wine. Sit in peace and enjoy the evening. Many restaurants offer special plans for couples. Let them feel like a royalty like they are on this Valnetine’s Day in Mumbai. What to do: Suit up, Boot up and wine it up! How about a date night under the sky & in the middle of the sea? Does your partner love to dine under the open air or in middle of the sea, we have got you covered. Although this is expensive, it’s an evening that both of you will remember forever. What to do: Plan and book a table. Does your partner love heights? Fall in love with one another below the stars in the rooftop restaurants of Mumbai. Breezy air, hot tikka and some nice wine, can you imagine a better evening than this with your loved one. What to do: Book a table and get going. Candles and roses for your beloved. Make home-cooked meals and fill the rooms with candles and fragrances. Prepare a warm bath for your beloved or a massage given by you. Wrap your arms around your partner and express your love. Simple and unforgettable Valentine Day in Mumbai. Cost: Depends on what to plan. We hope these tips make your Valentine’s Day in Mumbai unforgettable. Planning to spend a lot this Valentine’s Day in Mumbai? Cut costs and book a shared office space, seats, cabins, meeting rooms, virtual office at an affordable price in Mumbai.